If you are looking to take on a challenge event, to set a personal challenge, perhaps in memory of loved one, to get fitter or to raise funds for local charity, Hospice at Home Carlisle and North Lakeland, we’d love to hear from you. The charity organises challenge events throughout the year such as the Skydive! Where you will be able to jump from 11,000 ft and experience a 120 mph rush down to earth! All whilst raising money for a brilliant cause. Enjoy this once in a lifetime experience with family, friends or colleagues. Sign up together and make a day of it, you could even fund raise together. No training it needed for this challenge so join the team today… you wont regret it. 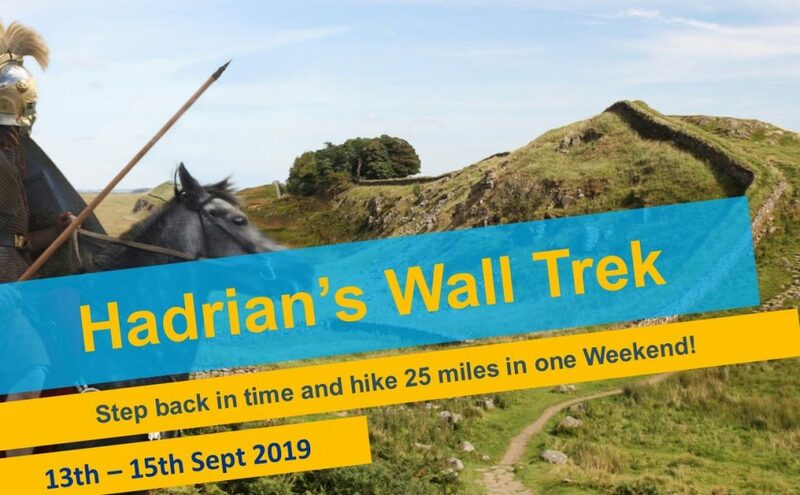 Would you like to Trek along Hadrians Wall in 2019 in aid of Hospice at Home Carlisle and North Lakeland? The 25 mile, 3 day trek organised by Global Adventure Challenges follows in the footsteps of the Roman legions on a fantastic weekend from Lanercost Priory to Brocolitia. Join and conquer the wall on this classic trekking challenge! 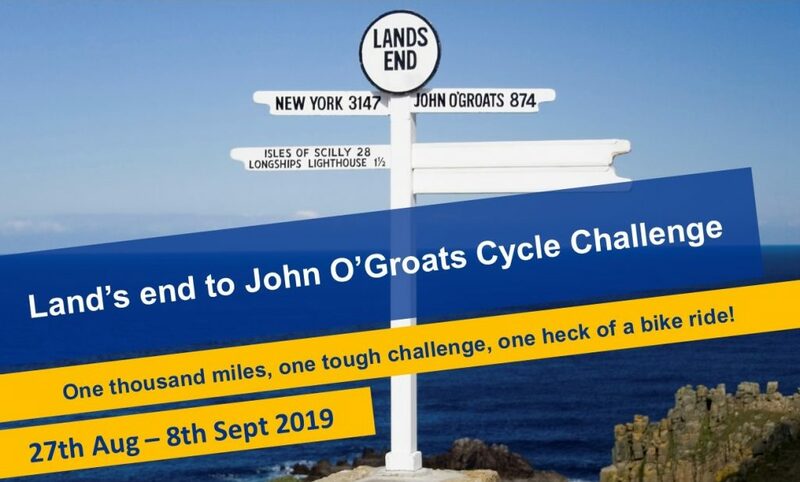 Your cycle challenge…is to pedal from Land’s End to John O’Groats, the furthest possible distance in the British Isles. This is one of the toughest fundraising cycle events available! The Simply Health Great North Run is the biggest and most iconic half marathon in the world. If you would like to join our team in 2019 and raise money for Hospice at Home, sign up now! If you fancy going further afield challenges, treks and experiences may be of interest. 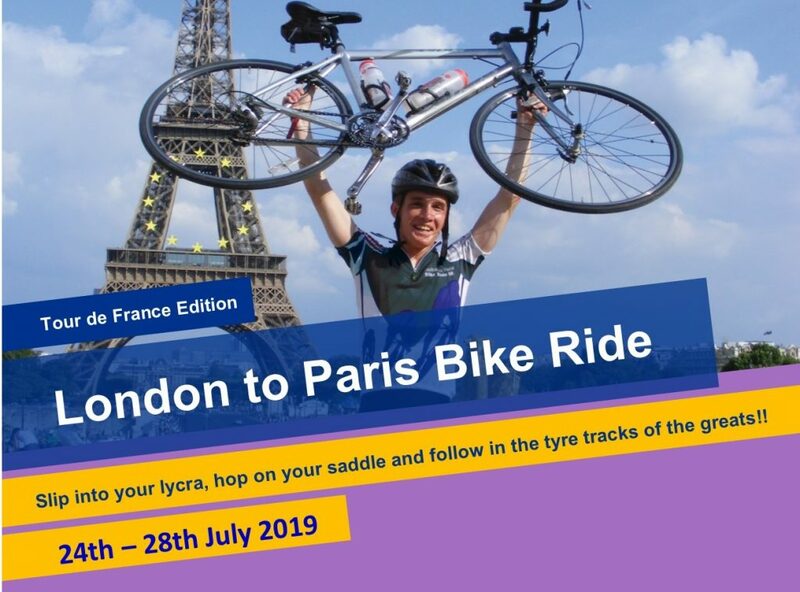 You may want to slip into your lycra, hop on your saddle and follow in the tyre tracks of the greats and cycle from London to Paris! Then finish off by watching the finale of the Tour de France! Organised by Global Adventure Challenges, this is an example of an event that offers travel experiences and a fantastic challenge rolled into one. 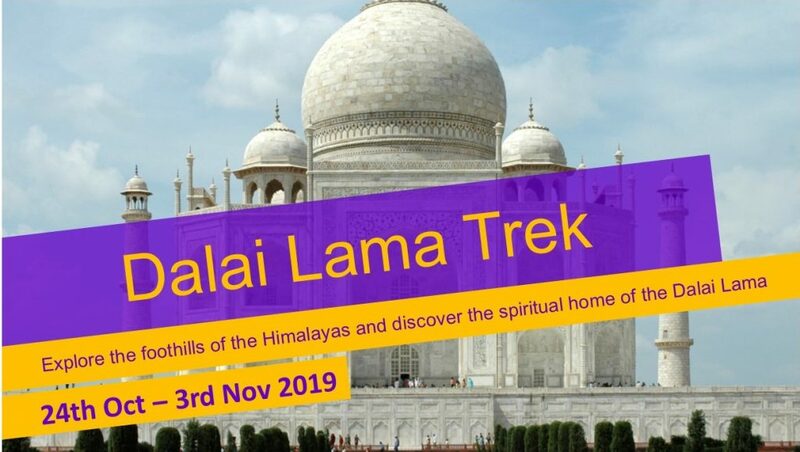 We are also promoting a fantastic opportunity to Trek through India, then explore the incomparable Taj Mahal, the greatest monument to love ever built during the Dalai Lama Trek. You may also have ideas of your own and may wish to organise your own fundraising challenge event. The Hospice at Home Fundraising Team can offer sponsorship forms, t-shirts or running vests and fundraising advice, if needed. For more information on upcoming events, please take a look at our events calendar.